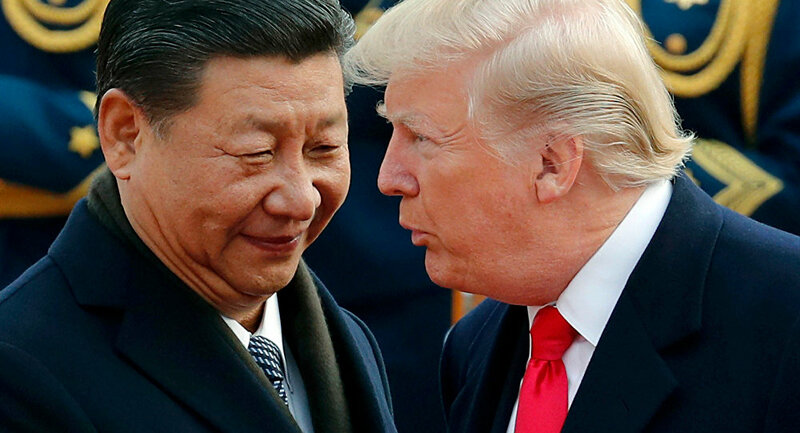 China's retaliation comes just hours after the US president imposed a 25 percent tariff on Chinese goods, while, however, insisting that there is "no trade war" between Washington and Beijing. China has imposed an import duty on 659 types of goods imported from the United States worth about $50 billion in retaliatory measures after Donald Trump's similar move. The customs duty on 545 items of goods from the list worth about $34 billion will be enforced on July 6. Earlier in the day, the Chinese Commerce Ministry said on its website that Beijing "is unwilling to have a trade war, but the Chinese side has no choice but to strongly oppose this, due to the United States' myopic behavior that will harm both parties." The comment was in the wake of the fresh decision made by US President Donald Trump, who had imposed a 25 percent tariff on Chinese goods "that contain industrially significant technologies," introduced, as he stated, in response to the alleged theft of intellectual property. "In light of China's theft of intellectual property and technology and its other unfair trade practices, the United States will implement a 25 percent tariff on $50 billion of goods from China that contain industrially significant technologies," US President Donald Trump said in a statement on Friday. The US president warned that Washington would impose additional measures if the Chinese side retaliated. "If China engages in retaliatory measures, such as imposing new tariffs on United States goods, services, or agricultural products," his administration would impose new tariffs in response," he stated. Trump explained his decision by "unfair trade" between the countries. "My great friendship with President Xi of China and our country's relationship with China are both very important to me. Trade between our nations, however, has been very unfair, for a very long time. This situation is no longer sustainable. China has, for example, long been engaging in several unfair practices related to the acquisition of American intellectual property and technology." As the US specified, Washington would begin collecting 25 percent tariffs on $34 billion worth of Chinese goods starting July 6, and would take steps to launch tariffs on 284 new product lines. The trade body stated that it would launch tariffs in two steps — an initial slimmed down list of 818 product lines worth $34 billion, followed by a second list of products that have largely benefited by China's industrial policies, including the "Made in China 2025" technology development program. The US president had first mentioned the introduction of tariffs in March and had been contemplating their introduction ever since: trade delegations from both countries were negotiating the issue and seemed to achieve certain progress in May, after Beijing agreed to cut tariffs on American cars and Washington promised support for ZTE, a company greatly affected by the US sanctions.